Brighten up your home, office or art gallery for boasts a sleek, slender design so it fits in smaller spaces. 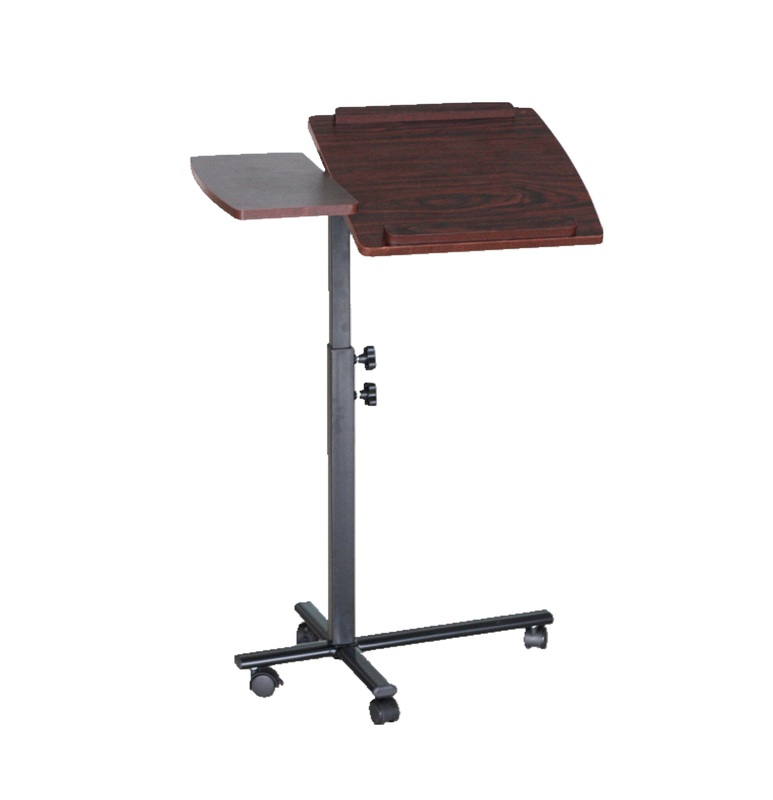 It’s is an Ergonomic Desks and quality solution for any size notebook, laptop or tablet and a cup of coffee on the side in any type of office, warehouse, school, church, conference room or medical setting. Sets up quickly and positions into many heights and angles. Angle and height adjustable split two table-tops or shelves Smooth table-tops with round corners for perfect cleaning Slide stopper on both ends for left hand and right hand users TBase with swivel casters for stability and brakes to stop the moving. Finish: Cherry with Chrome accents. Materials: Wood Mdf with Chrome metal.